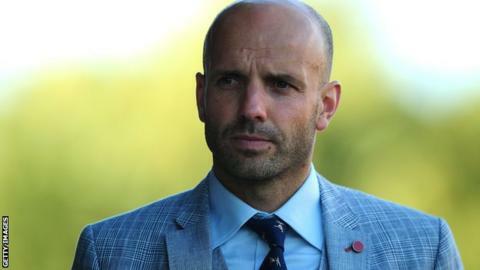 Exeter City boss Paul Tisdale admitted his side lacked 'energy and spark' in their 4-0 loss at Shrewsbury Town. It brought an abrupt end to Exeter's eight match unbeaten run, with their previous defeat coming against rivals Plymouth Argyle in February. "We just didn't seem to have the energy or spark that we've had in previous games," Tisdale told BBC Radio Devon. "It didn't really function - I made substitutions to try to pick it up and it just didn't work." The result leaves Exeter three points from the final play-off place in League Two with a worse goal difference than all of their rivals. Injuries to defenders Jordan Moore-Taylor and Craig Woodman, who pulled out ten minutes before kick-off, meant the Devon side had to make two changes on the day of the game. "It didn't really help and Tom McCready broke down in training as well, which wasn't ideal," Tisdale added. "Between now and the end of the season there'll be a day where we think we've blown it and there may be a day where we think we're there (in the play-offs) and neither will be true."